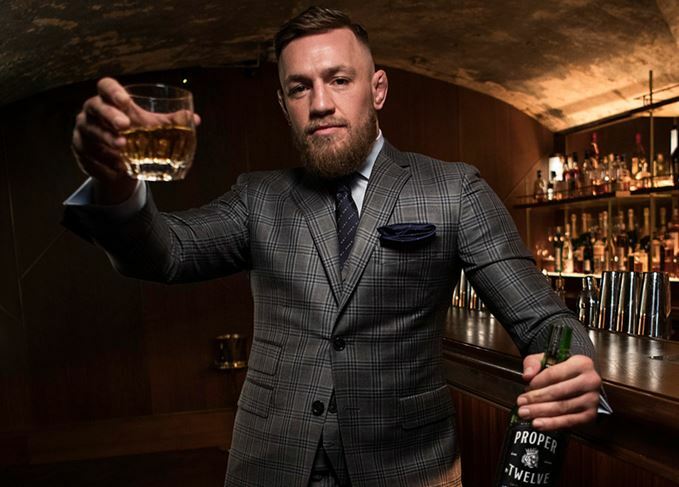 MMA fighter Conor McGregor has launched Proper No. 12, a blended Irish whiskey created with former Bushmills’ distillery manager David Elder. The whiskey is produced by the mixed martial artist’s company Eire Born Spirits at the Old Bushmills distillery in Ulster, Northern Ireland. Created with Elder, who has been named master distiller for Proper No. 12, the whiskey is a triple-distilled blend aged in ex-Bourbon casks and bottled at 40% abv. Named after Dublin postal district 12 in which McGregor grew up, the whiskey is said to evoke ‘hints of vanilla, honey and toasted wood’. While Proper No. 12 will initially be sold exclusively across the US and Ireland, further expansion is planned in 2019. As part of the brand’s ‘One For All’ initiative, US$5 from every case of Proper No. 12 sold – up to US$1million annually – will be donated to local community first responder organisations in the state or country the sales take place. McGregor said: ’First responders all over the world are the unsung heroes who act with courage and answer the call of duty every day for people in need. Proper No. 12 will be available for around US$25/ €35 from September 2018. McGregor made his name in the UFC (Ultimate Fighting Championship) Octagon, where he became featherweight and lightweight champion in 2015, making history as the first UFC fighter to hold belts in two weight divisions simultaneously. McGregor became the biggest pay-per-view draw in UFC history, before taking a break from the sport in 2017 to make his professional boxing debut against Floyd Mayweather Jr. Proper No. 12 has been released just weeks before McGregor returns to the Octagon to fight current lightweight champion Khabib Nurmagomedov, in a bout dubbed ‘the biggest in UFC history’. You can buy this bottle at The Whisky Exchange and DrinkSupermarket.com. It may also be available from these other retailers. The MMA fighter’s Proper No. Twelve Irish whiskey has had an ‘incredible reaction’.